When I’m considering foods as related to the seasons, I always think that summertime is such an easy time for healthy eating and meals that support weight loss or weight management. Summer fruit, salads and vegetables – fresh light meals are all comforting my mind for the healthy Mediterranean-style eating that we’ve embraced. I can almost smell the tomatoes on the vine; though they’re nothing more than yellow blossoms right now. Then ‘snap,’ I was startled from the sweet daydream to the reality that we may face during the summer. My mind visited possibilities of barbecues, family reunions, celebrations, holidays, visits to Cold Stone, and on and on. The possibilities were filled with family favorites and traditions; some recipes that I was actually responsible for starting. Here’s why the Weightbot graph has so many peaks in the summer. *don’t forget about processed meat goals that you may have set, in addition to the fat and sodium. It’s so easy to add from 500 to 1500 calories (sugar and fat) without realizing it. Have you ever calculated what a thirsty summer day can do to your calorie intake? Can you find something that is not deep-fried? I think that the fair or carnival is the perfect place for mindless eating – so many things to distract us; so easy to not notice what and how much you’re eating. It could turn into a day of ‘eat while you walk’ disasters. Nachos – Keep in mind that a one-inch block of cheese, or a tradition 4 inch square slice of cheese is about an ounce – one ounce of cheese an average of 100 calories. How many ounces would you guess is on the nachos? I’ve seen servings of Nachos that are easily 800 calories. Without becoming a hermit, is there anything that we can do to retain our goals of healthful eating and weight management? The following are just a few ideas, but there are as many ideas as there are problems. Put on your thinking caps and decide on some techniques that will work for you. Grilled chicken can taste quite good. If you decided to have steak, will a half steak or less satisfy your desire? If you enjoy kielbasa and hot dogs, would a part of one be enough; filling up on salads and fruit? Or possibly making a personal rule for the number of times you will indulge. Would removing most of the ‘crust’ from the fried chicken help you to keep your goals? Could you ask for a small burger and leave the cheese off? How about bringing your own meat? Or other dish? Make it delicious and healthy. Salads with heavy mayonnaise dressings can be made with recipes that taste good. A good trick is to substitute some or most of the mayonnaise with nonfat Greek yogurt, possibly with a little vinegar. 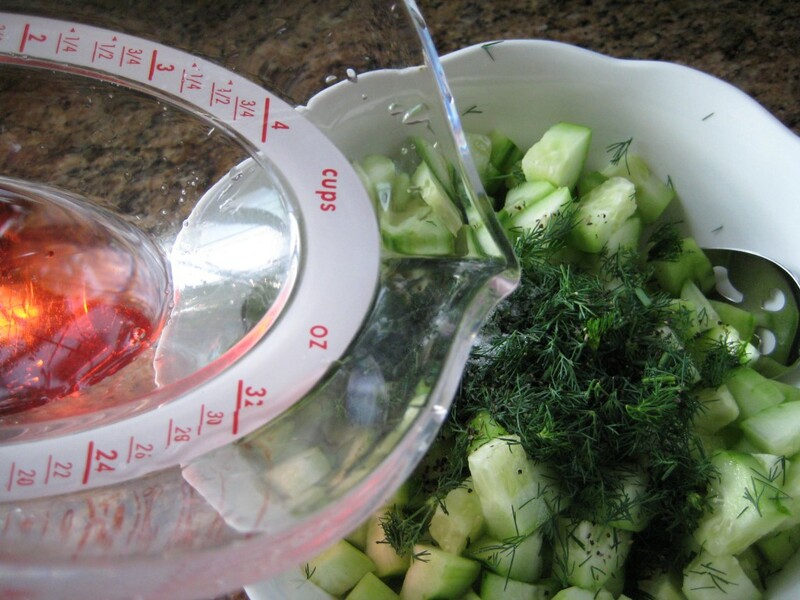 Try vinegar and Dr. Grandma’s zero-calorie sweetener dressing for Coleslaw. Can you skip the bacon, cheese and fatty croutons? Try an experiment, if it is not already your habit to have your salad dressing on the side. You’ll be surprised how much is left on the side, when you finish your salad. You may be surprised how much dressing is on a Caesar’s Salad. Cake, brownies, homemade desserts. Controlling your portion size could be the difference between the scale going off your favorite number, or not. Try a taste – the second bite is no better than the first. But let’s face it, sugar and fat are deadly for cravings. As for drinks, I received two tall glass canisters with spigots for gifts a few years ago. I usually put water with lime slices and ice in one. It’s amazing how many guests are choosing the no calorie water, with a touch of lime. That jug is being emptied, while the calorie containing juice is lagging behind. Try to slow down with the ice cream. Savor each bite and the small serving may be more rewarding than you expect – pleasant surprise. Roasted corn on the cob – an option at the fair. Take a little piece of paper with you if you think you’ll have too much trouble keeping a mental note of how much you’re eating at the fair. Is there someone to share with? Can you bring an apple in your bag, and eat it when hunger strikes? Then wait to eat at home or in a safer place than the fair/carnival? How about a big bottle of icy water at the fair – keep your mouth busy with that? Some ice cream companies advertise that their fruity versions are health foods. Yes, we know that fruit is healthy, but how much fat is there in the fruity ice cream? Frozen yogurt desserts are not sugar free or fat free. Consider ordering the little child serving size of fatty foods, to help protect your arteries and your fanny. With a little planning and decision-making we can help to ensure that summer will be filled with pleasant activities involving happy eating experiences – during and after. Avoiding the pitfalls of summer eating can support our goals in maintaining a healthy weight, protecting our health and continuing our Mediterranean eating-style goals. I’m still imagining fresh tomatoes on our tomato vines; but that daydream must wait a while to be realized. 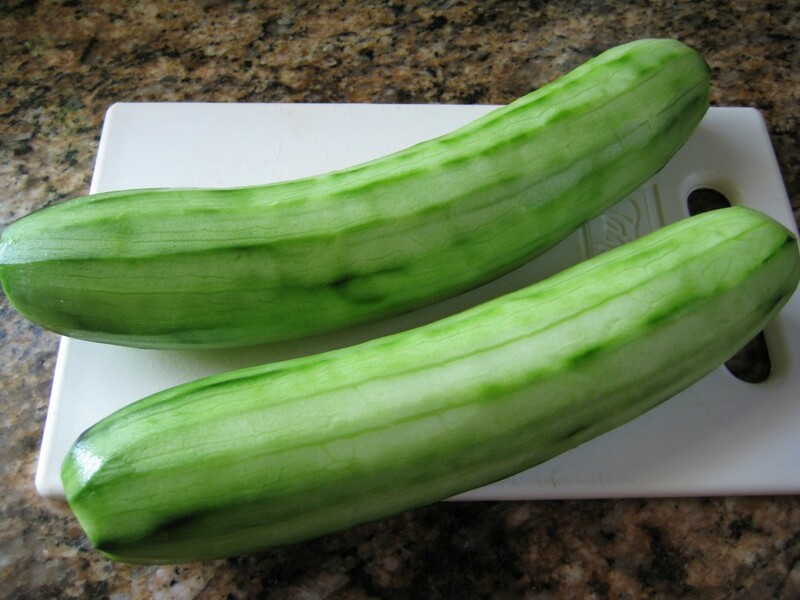 This is a very easy recipe with a nice tangy flavor; it can be used for a variety of uses. 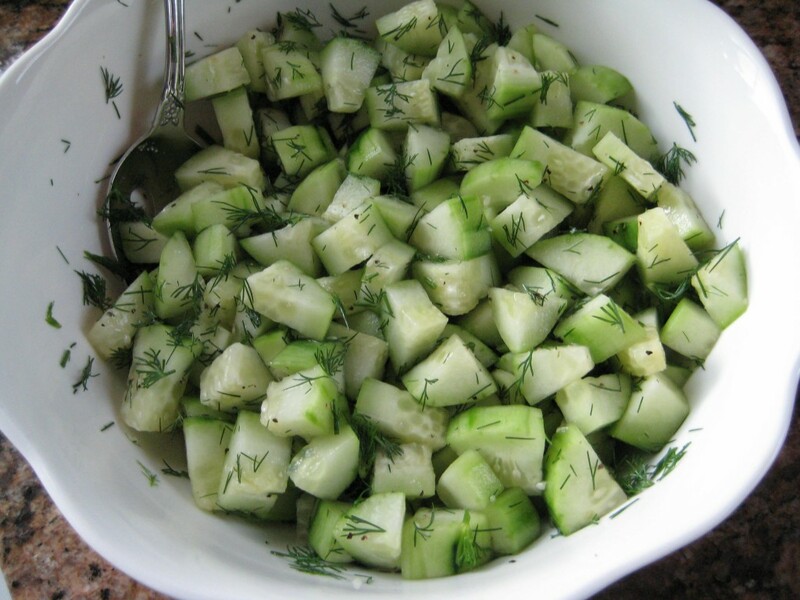 You can top a salad; garnish fish or chicken; serve it as a salad; or use it for a salsa dip. 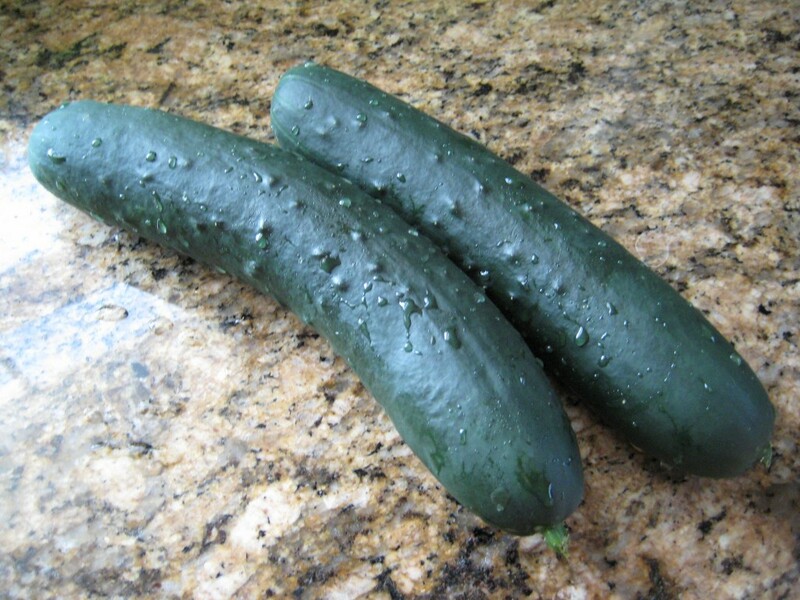 Slice the cucumbers lengthwise into half; then slice again into 3 pieces. 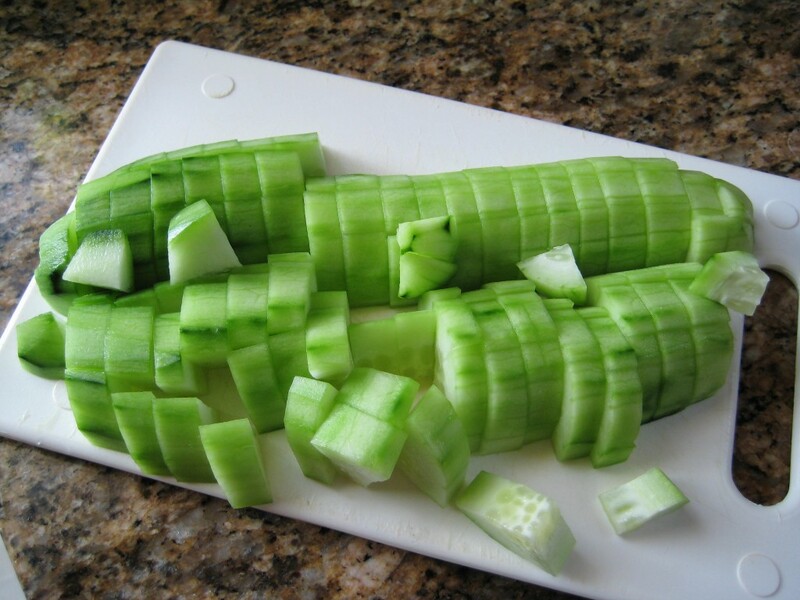 Chop the strips into ½ inch pieces. Combine all ingredients; stir well, cover and refrigerate until ready to serve. Using summer's low calorie bounty. Lightly peel or don't peel - according to your taste. Chop into 1/2 inch pieces. 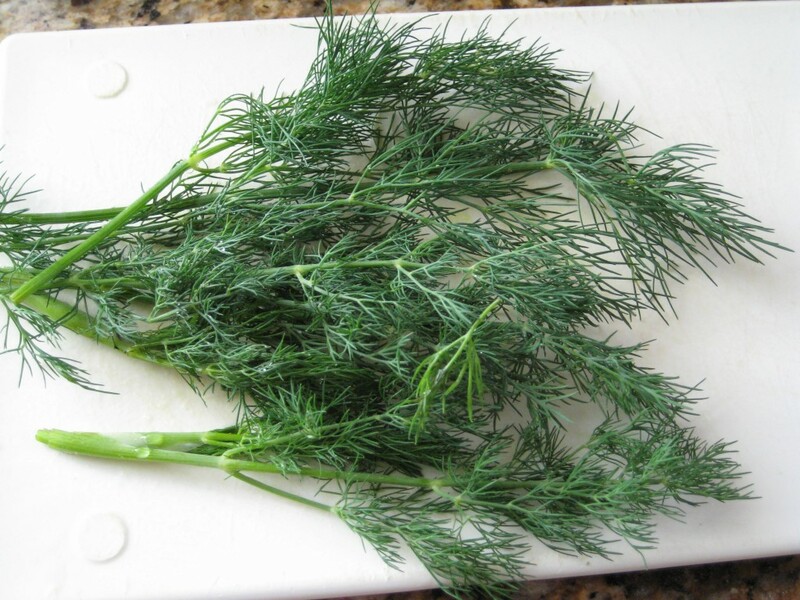 Lovely perennial dill from our garden - rinse and chop off heavy stems, then snip with scissors. Mix Dr. Grandma's Delight and vinegar and pour over vegetables. Mix all ingredients, cover and refrigerate. 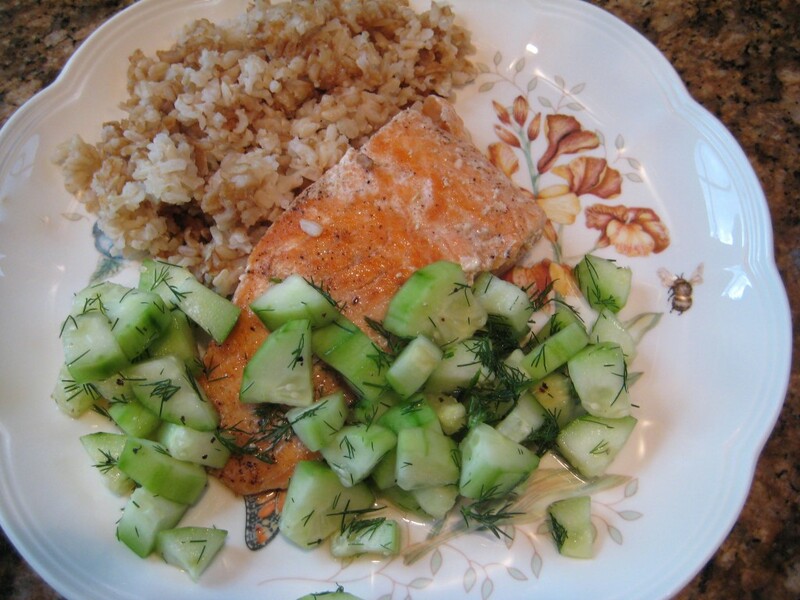 I served it with salmon and rice, but it has a mild refreshing flavor to go with many foods.